The Party Wall Act does not necessarily involve a wall. If you intend to carry out any work on your property which could affect a neighbour with whom you share a boundary then they should be notified, and agreement reached, about the intended works. The party wall act covers new work about to be done on, or near a boundary; work done to or near a boundary wall; Excavation near a boundary and also excavation that will involve digging deeper than the foundation of your neighbours building. The Party Wall Act is a framework intended to prevent or resolve disputes in relation to party walls and property boundaries. This project shows you how to decide if you need to involve your neighbour in discussions about work you intend to do. Thanks to the department for communities and local government for the images below. 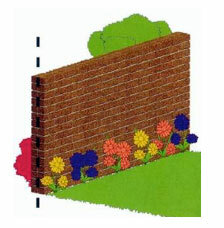 What do I do if I am Working Near a Boundary or Boundary Wall? We get many questions regarding working close to, or on the boundary between properties, for example a common question is; can I use my neighbours wall as part of my extension or the back of my shed? There are rules and regulations for this and most are covered by the party wall act of 1996. On July 1st 1997 The Party Wall etc. Act 1996 came into force. Based on Part VI of the London Building Acts (Amendment) Act 1939, it was presented by the earl of Lytton as a Private Members Bill. 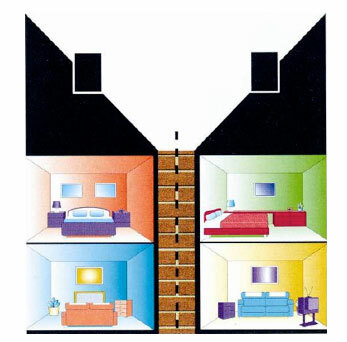 If, as a building owner, you intend to do work to or on a wall you share with a neighbour, or any work on or near a shared party wall or division including excavations which may be deeper than your neighbours foundations, you must tell them of your intentions and you must do this in the way set down by the Party Wall Act. This has to be in writing and to assist you with this, the Government have a series of template letters which you can use for the purpose of Party Wall notification. Sometimes two or even all three notices are required to cover a single project. If your neighbour agrees that you can continue with the work, this agreement must also be in writing (to protect future owners of the property). This is also the case if they disagree! If they do disagree, there is a framework in place to resolve any dispute this causes. You can read all about the full legal ramifications and further details of the Party Wall Act here on the official gov.uk website. What is a Party Structure? 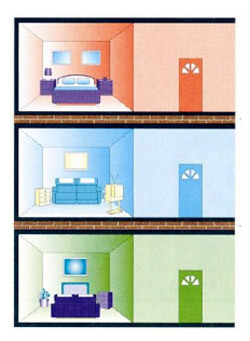 The Party Wall Act also covers parts of buildings which may be shared as separation of structures e.g. 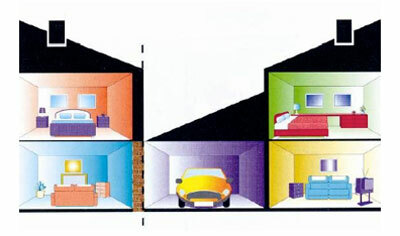 in the case of a semi-detached property, this would be the wall that seperates the two properties. Additionally, this may well be, for example, the floor, or floors in a block of flats, that divides two seperate dwellings that are owned by different people. What Type of Work is Affected by the Party Wall Act? 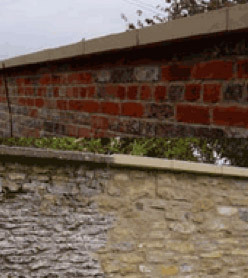 The Party Wall Act provides that you must take all reasonable care when working on a party wall and should any damage arise from the work, you will be responsible for repairing the damage caused. You can download an explanatory booklet from here. This booklet picks up where this project leaves off and will leave you in no doubt as to your rights with regard to any party wall or party structure. Does The Party Wall Act Affect my Planning Permission Applications? The Party Wall Act is separate from planning permission applications but your planning officer may suggest you seek the correct permission from your neighbour should any work submitted for planning approval involve work on or near a neighbours boundary. If you intend to work on a party wall or property boundary you do not have to apply for planning permission of building regulation approvalunless the intended work requires this type of approval in it’s own right. What am I Allowed to do to my Side of a Party Wall Without Notifying my Neighbour? While it is still polite to do so, there is no regulation that says you need to tell your neighbour you are putting up shelves, chasing in wiring etc…. These minor works are considered to be acceptable providing you do not disturb them beyond the normal course of daily activity. 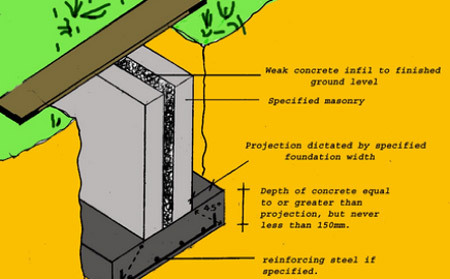 If you need some advice on foundations and how they should be constructed, please see our project here. Viewing the project should also give you an idea of how certain works might effect your neighbours property. Essentially, if there is disagreement between parties as to whether the work can be carried out, each party should employ a surveyor, or you can both employ a surveyor together. 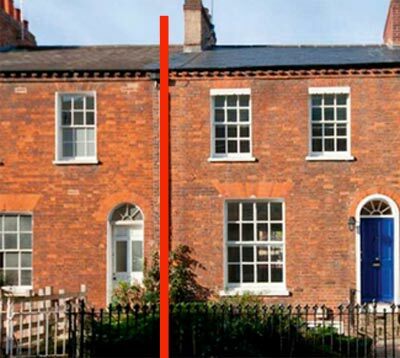 The surveyors are instructed to reach a “Party Wall Award”. The Party Wall Award will decide what work can be carried out and the hours within it may be done. It will also decide who should pay for it if the work is to benefit either party in any way. What Happens When Work Starts? When work has been agreed between owner and neighbour the neighbour must (if necessary) allow access, by surveyors and workmen, to the party wall or party structure during normal working hours, BUT, 14 days notice must be given of intention to do this. For more information, please do download the explanatory booklet mentioned above. This booklet has a whole host of additional information and will fully explain and clarify both your rights and your responsibilities. 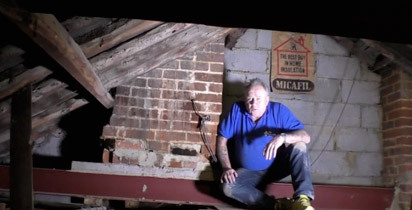 Good luck with your party wall project!